I am always looking for ways to integrate seasonal fun to the classroom. 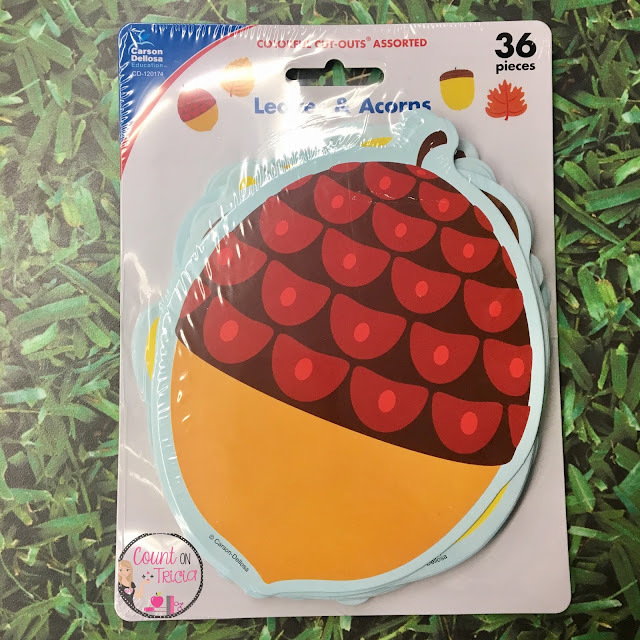 I love these leaves and acorns giant cutouts that Carson Dellosa sent me to try out. They are colorful, a good size and very sturdy. I can use them for so many things in the classroom. Punch a hole in the corner of the cut-outs. 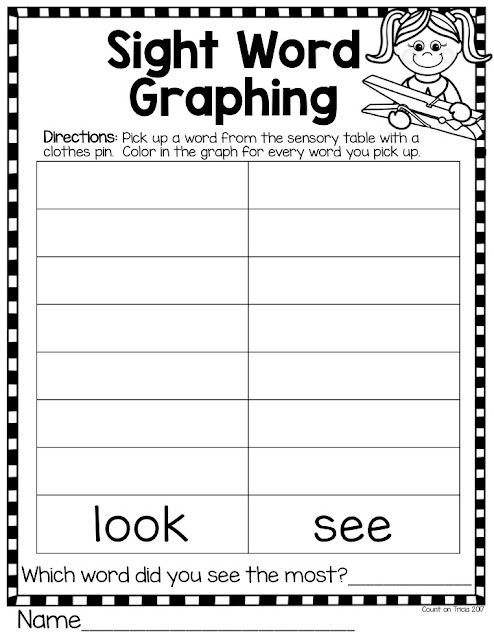 Then print out and glue math facts or vocabulary words onto the cutouts. 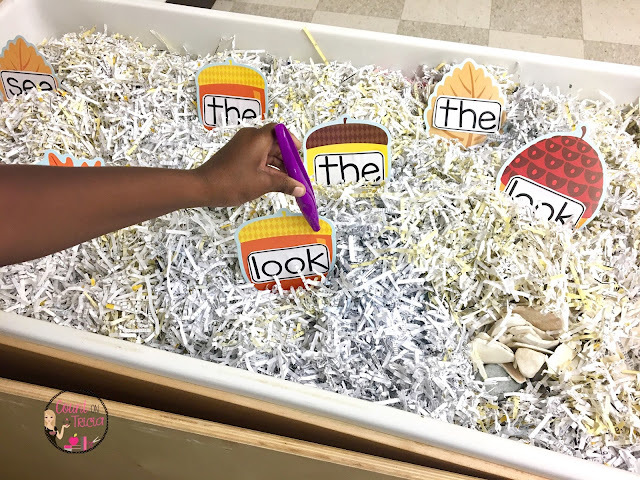 After putting the cutouts through a binder ring, they are easy to carry around for students to practice their facts and words. 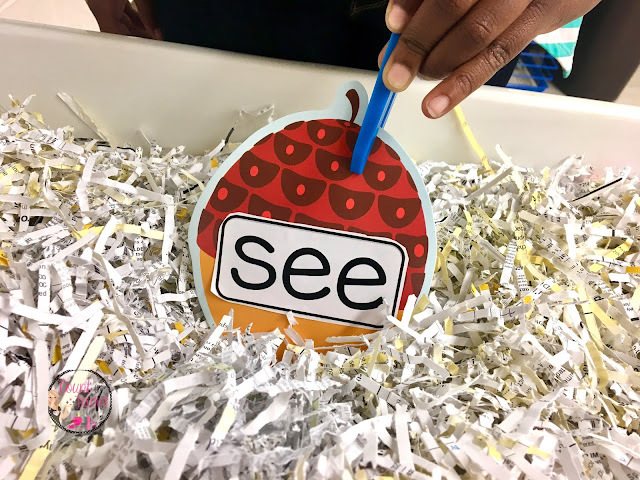 Since we just opened our sensory table this week, I had another idea that the students ended up really loving. 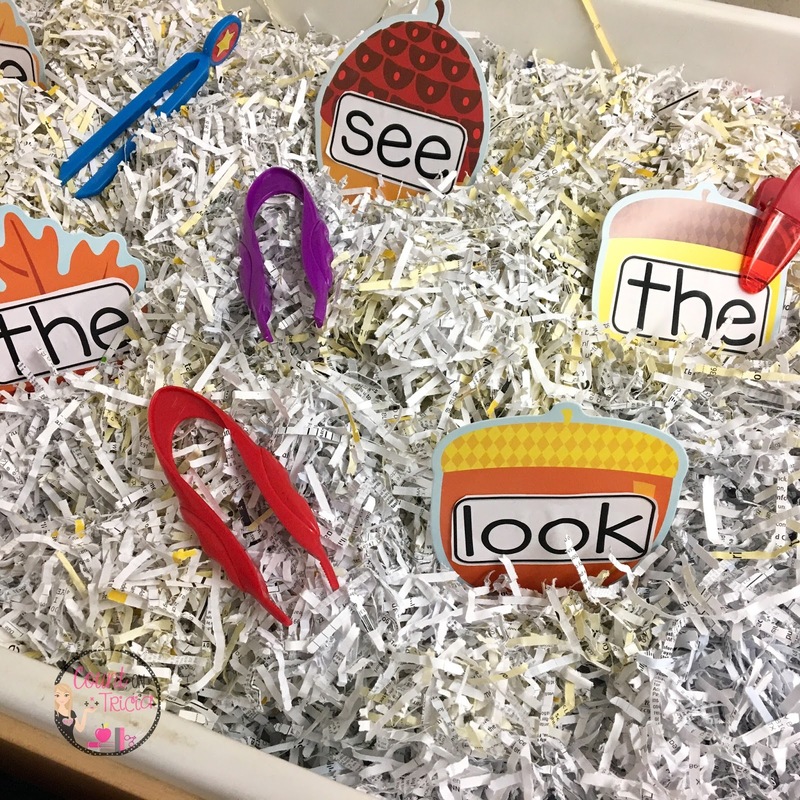 I believe it is so important to integrate fine motor skills into lessons. Strengthening the muscles in the hand and fingers can help students cut with scissors, hold a pencil correctly, button in self-care and improve handwriting. Students used plastic tweezers and chip clips to pick up the words they recognized. Students then graphed how many words they could recognize and say. The children loved going to the sensory table. I can not wait to change these Carson Dellosa fall cutouts to other seasons!